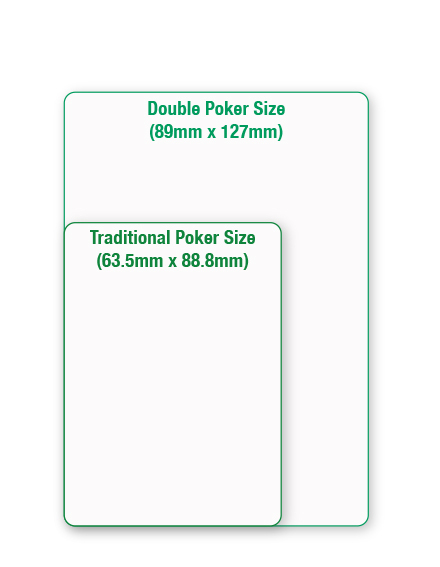 We can produce cards at double poker size (89mm x 127mm) to allow for more information on the card, or to show your artwork off to it's full potential at a larger size more suited for display. 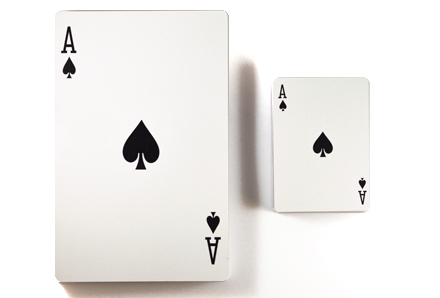 The prices below are based on a 54 card pack, but we can tailor the number of cards to your exact needs. or give us a call on 01206 262751.